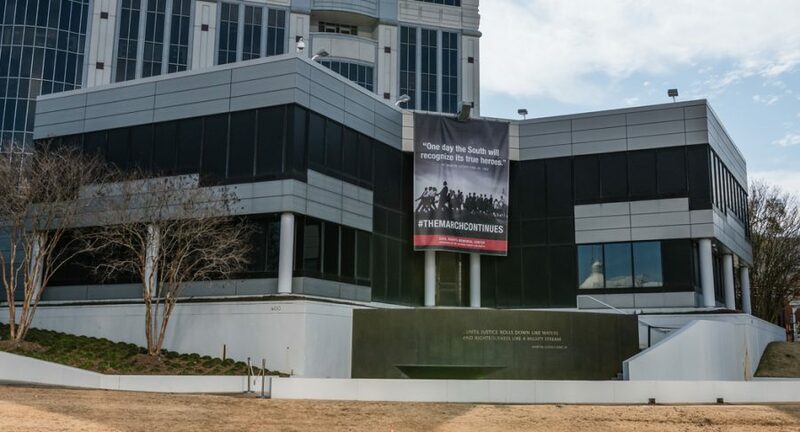 The expensive headquarters of the Southern Poverty Law Center in Birmingham, Alabama. I worked there for seven and one-half years, so I guess that makes me an extremist as well as hateful. But none of that is accurate. I know that partly because of the way the SPLC used my own words. I said those words. But the SPLC left out the rest of what I said. In my interview with Ms. Mefferd, I did not say, nor did I imply, that all homosexuals who participate in Scouting do so to prey on youth. Nor did I imply that all homosexuals are predators. I said exactly the opposite. Here are the relevant excerpts of my interview. “It is my hope that everyone within the sound of our voices shows love and respect for every person made in the image and likeness of God, homosexual or heterosexual,” I made clear. This is not about hatred or bigotry; it’s about deeply held moral conviction. … Is every homosexual a predator? Of course not. No one suggests that. But recently the Boy Scouts released their ‘Perversion Files’ — that’s their title for it. … These files have revealed the names of over 2,000 men who abused and molested boys. … You can look at the names and they’re all males. … Homosexuals have entered the Scouts in past years for predatory purposes. … It would be my hope that no one, again, would suggest that all homosexuals want to abuse children. Of course they don’t, and many are as horrified by pedophilia as the rest of us are. The overwhelming majority of the sexual abuse known to have occurred within Scouting over the past decades has been homosexual in nature. I reviewed each of the 1,932 case files released by the BSA and published in the Los Angeles Times. All but about 15 deal with cases of man-on-boy or older boy-on-younger boy sexual assault. But to the SPLC, none of this mattered. Not the facts, not what I actually said. They found a quote that fit their agenda, pulled it out of context, and used it to make their dishonest case. If this is the worst insult I ever suffer, I’ll count myself blessed. But no one wishes to be lied about, especially, as a Christian, integrity before God is my highest priority. Now, as Tom Gilson has explained in The Stream, the SPLC has been exposed for what it is: a fundraising organization pretending to care about racial justice and human dignity. It’s founder, Morris Deeds, has been forced to resign, apparently for a long history of sexual harassment. And the SPLC itself is reputed to be a hothouse of racial bias. This “poverty” center is headquartered in Alabama — a state which, according to U.S. Census Bureau data, has one of the highest poverty rates in the country. Indeed, the Census Bureau reports that in 2017, the South was far and away the poorest region in the nation. Maybe this vast “anti-poverty” group could spare a little change for its neighbors. Ordinary Americans do amazing and loving things. The many private charities and untold acts of personal generosity and kindness that run throughout our society are a tribute to the decency and compassion of so many of our fellow citizens. That’s one of the reasons the SPLC’s hypocrisy is so raw. In the name of racial justice and protecting people at risk, they not only cram their coffers with more and more donations. They debase the larger culture by fostering cynicism. About 20 years ago, I had an intern named Jeff. A few years back, we reconnected online. He now identifies as gay and is married to another man. I could not disagree more strongly with Jeff’s lifestyle, but I love him and pray for him. I am grateful for Jeff’s kindness, all the more so after the SPLC’s crude misuse of a comment I made years ago. I forgive the SPLC, though. They are blind. May the events of the past few days help cause them to see.